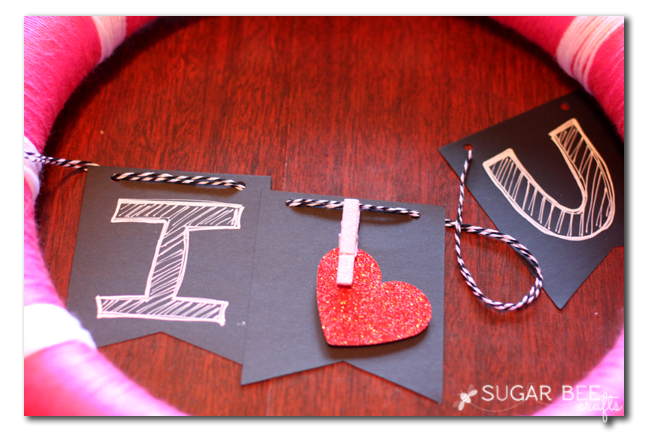 There is something about Valentine crafting – it’s just one of my favorites! 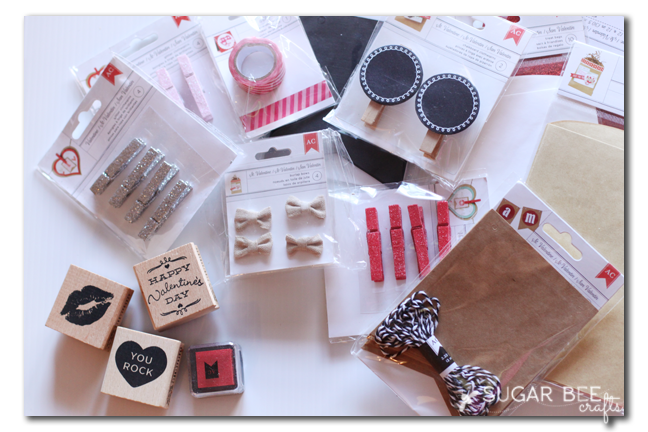 Speaking of favorites, guess where the embellishment supplies came from…. Target! 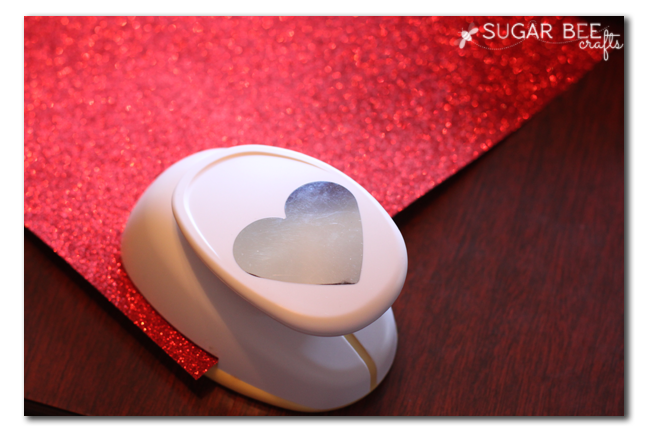 Just a few supplies and you can make one for yourself! 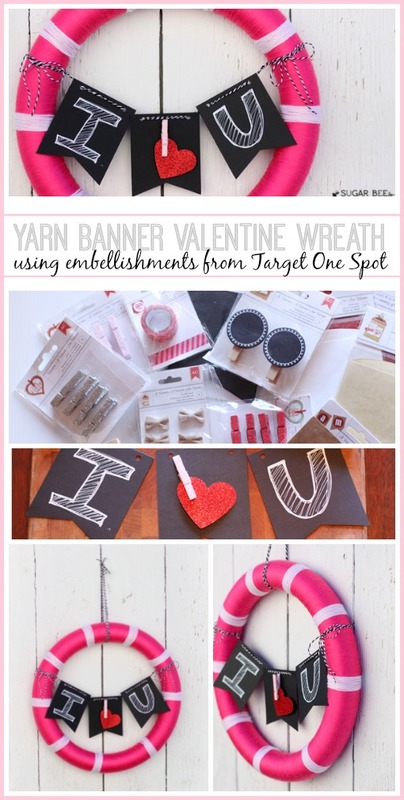 I just love that you can find cute craft supplies and embellishments in the Target One Spot (they are priced $1-3 – you can’t beat that!). 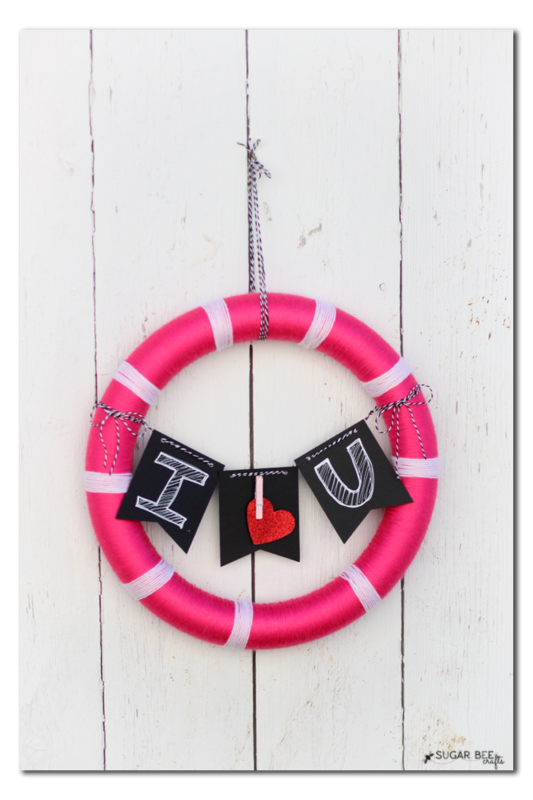 There are over 40 products to choose from, like Valentine’s Day stickers and washi tap or chalkboard style basics and banners. But it’s only for a limited time and I’m pretty sure that they’ll sell out quickly, so grab yours soon. 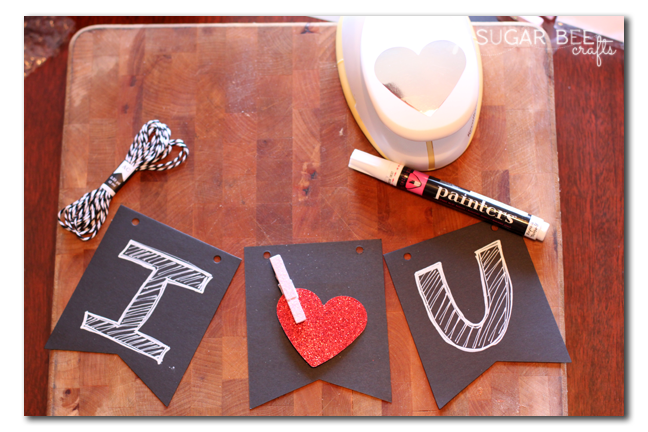 Then I used a white painter marker to write on the sheets from the black banner kit. 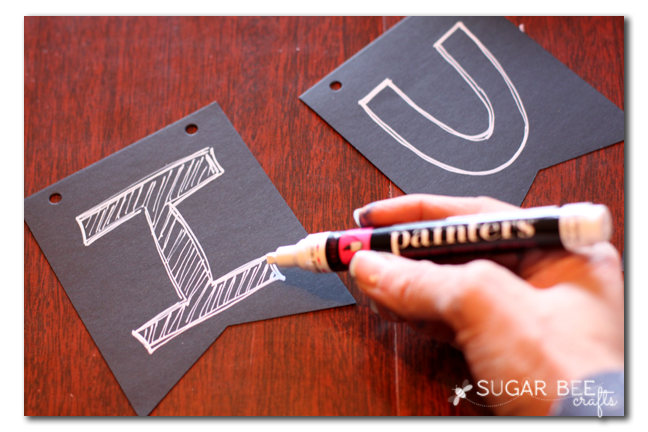 This gave them a chalkboard look. 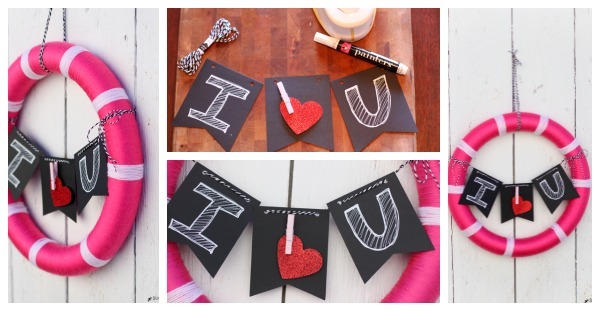 I like the feel of the handwritten banners – a fun touch to them. 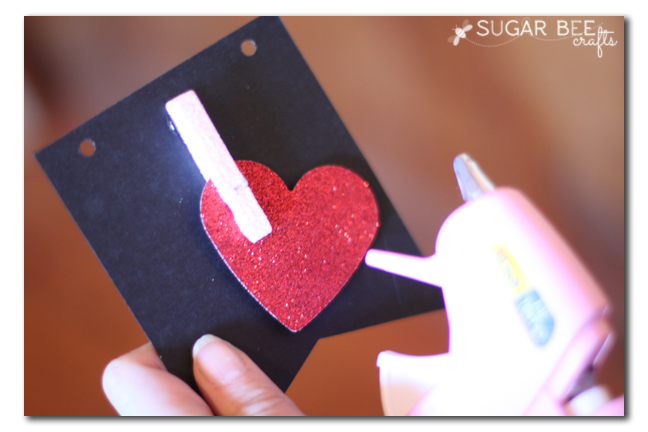 Instead of just attaching the punched glitter heart to the banner, I used a glitter clothespin to hold it on. 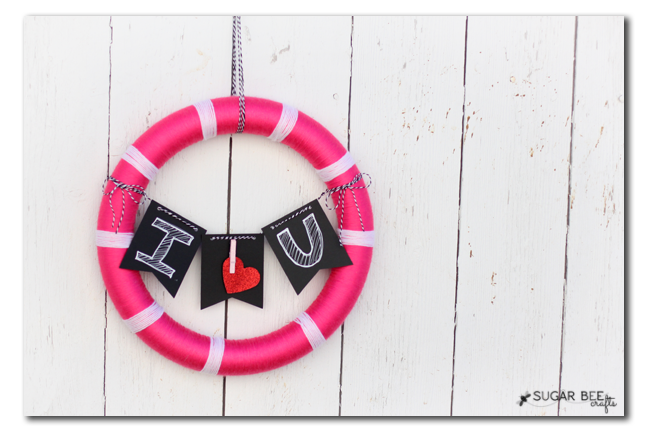 I liked how it makes the heart float against the banner – fun depth for the project. I just attached the clothespin with some hot glue. Next I used the baker’s twine (it’s included in the banner kit!) and threaded on the banner. I was able to double up on the twine strand. And then I just used the twine ends to tie around the edges of the wreath. And I used twine again as the wreath hanger. 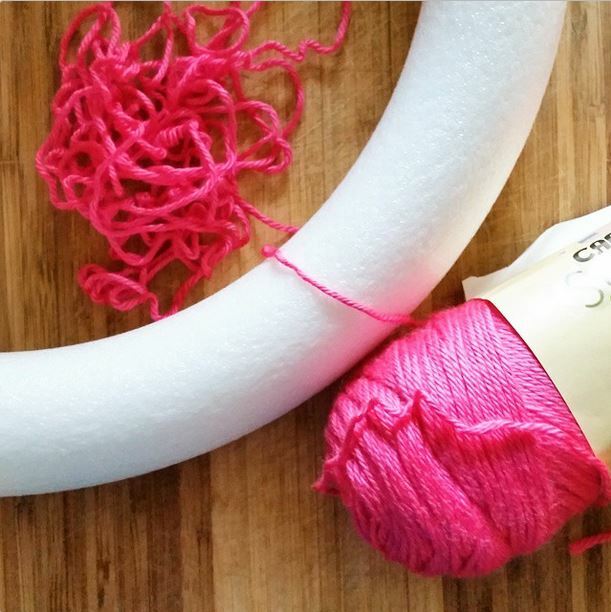 I love baker’s twine – it’s so fun! 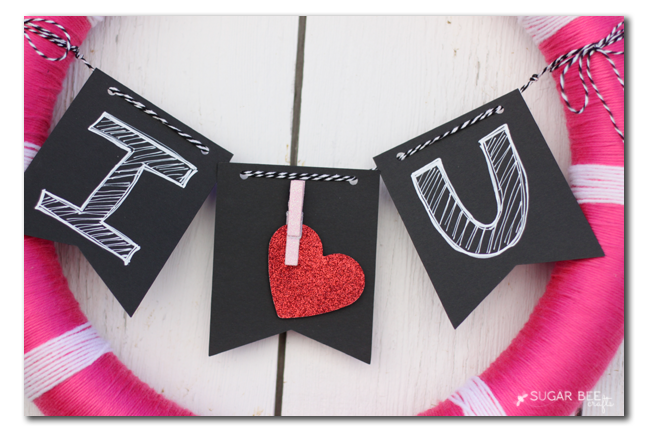 Here’s an upclose of the completed banner – I love how it turned out! 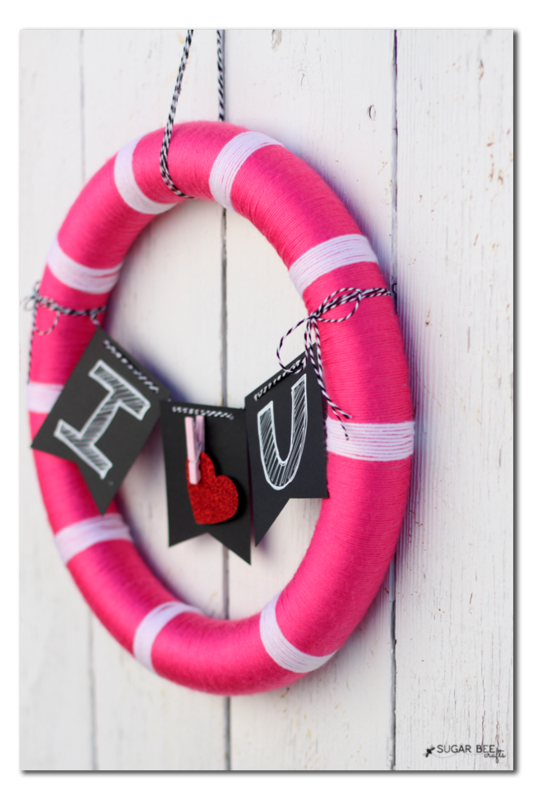 And if you’re not a wreath person, you could for sure just hang the banner on it’s own. 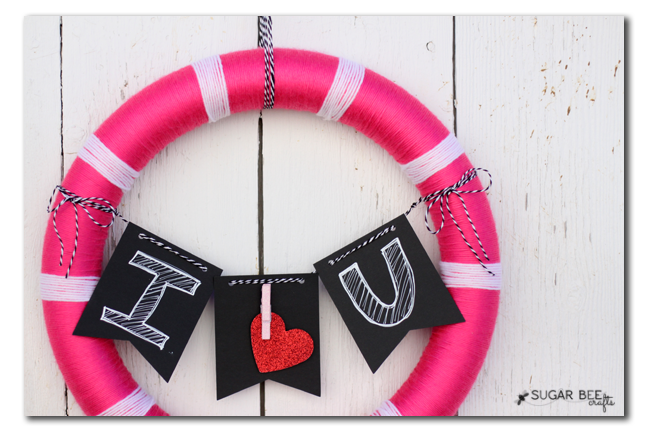 For more Valentine projects using supplies from Target One Spot, search the #OneSpotValentine hashtag on social media – so many cute things!